Day 4 in Korea is a Day for the kids. They were extremely excited about today and probably looked forward to THIS DAY the most. WHY? Because today we are heading over to LOTTE WORLD. Our morning started off with breakfast. I was in LOVEEE with this..
My son, on the contrary was obsessed with the cute pororo character printed cheesecake. As soon as we finished. 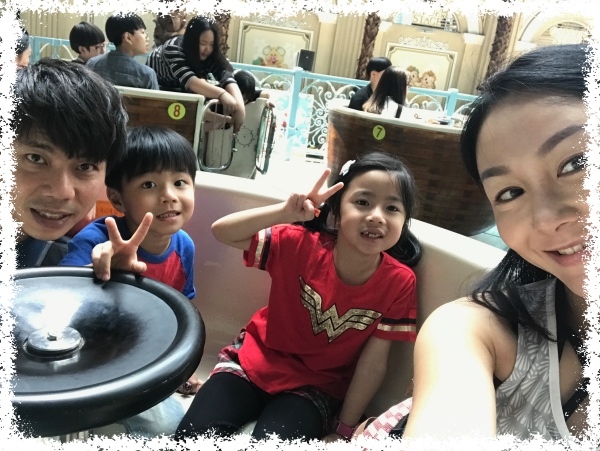 We headed to Lotte World. I have always tried to plan something fun/interesting/amusing for the kids on every little trips/holidays I have, as I believe sometimes kids learn most through fun experiences in life while we are making and creating memories together. We were there for a good 3/4 of the day and decided to head on back somewhere nearer to MyeongDong for dinner. We decided on Mexican for dinner that night. Followed by desserts before calling it a night.